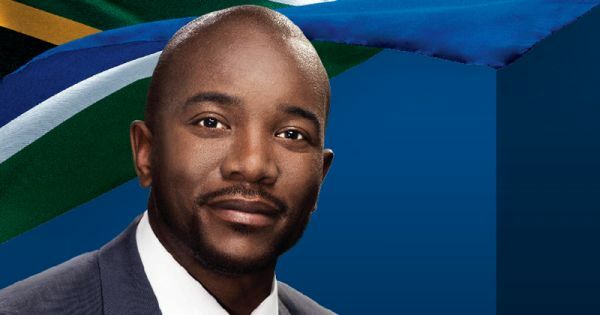 UPDATE: DA leader Mmusi Maimane will not be his party's candidate to become Western Cape premier after next year's election.The DA announced the outcome of the Federal Executive Committee's (FedEx) meeting on Tuesday, stating that Maimane "decided to decline the request for him to stand as the DA’s candidate for Premier of the Western Cape." Mmusi Maimane wants to be the DA's candidate for Premier of the Western Cape.The powers in the DA behind all thrones are not happy with him. They'd planned something else. The Western Cape is in crisis. It's been dragged down by maladministration and corruption. The Democratic Alliance (DA) is paralysed, unable to overcome faction fighting. It lies and lies to the Public. It cover-ups crime. It's arrogance has gotten out of control. The DA is guaranteed to bleed votes in the election next year but we must accept that they will remain a large power in the Western Cape. Our choice is to either support Mmusi Maimane in rocking the DA's apple cart or to allow their preordained MEC Alan Winde to takeover. Winde is a long-time insider of the faction of the DA that has spat on the Public. He has been involved in the illegal funding of Knysna Tourism, a deceptive name for a private company that has received approximately R40-million rand without tender since its inception. DA politicians sat on its Board of Directors. Nepotism and cronyism ensued. For that, two of them were rewarded with bigger positions. Similar actions are happening in other towns. The final figure of irregular expenditure will possibly rise to hundreds of millions. Winde's Head of Department, Solly Fourie, has refused to cooperate in providing info. Local Government has also failed to investigate. Alan Winde belongs to current Premier Helen Zille's faction. It's unsurprising that she's refused to act against him and others involved in maladministration and corruption, that she's allowed intimidation and crooks to become councillors who then maintained the cover-up. Zille also failed to appropriately act in the Patricia De Lille fiasco. She's earned a big salary for doing nothing. Her replacement has to be different. Mmusi Maimane has at least challenged her political twittering foolhardiness. Alan Winde, hers and the DA Federal Executive's insider, has been so quiet as to be absent. He's not a leader. He supports a team that doesn't support the Public. Supporting Mmusi Maimane's desire to be Premier of the Western Cape may not be a perfect choice but its the best shot we have at returning stability to the Western Cape Government. It's the biggest shot from within the DA of addressing so much that's gone wrong. Before the almighty DA Federal Executive that controls our lives puts pressure on Maimane to step back, support him. Sign this petition and share it. NB: The creator of this petition doesn't support any political party. This petition is for the sake of logic and hope.